Investing in real estate is pretty simple in theory and basically there are only 2 ways to make a profit. Everyone knows that you can either rent a property or resell it at a higher price but did you ever stop to think that the home you live in is also a type of business investment? If you think about it it’s true and even though you may not have bought a home strictly for financial gain if you are smart you will be able to maximize this investment for its full potential regardless of how long you stay in the home. Yes, I’m talking about taxes! One of the greatest benefits of owning a home are all of the tax deductions that you are entitled to that you would not have access to as a renter. Again I’m probably not saying anything that you haven’t heard before but I can guarantee you that most home owners do not take full advantage of all of the deductions that they might be entitled to. 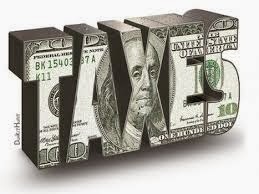 Many people prefer to do their own taxes but depending on your situation it may be a good investment to hire a qualified professional to assist you at tax time. Tax laws change every year and it’s simply not possible for most of us to keep up with the changes. Here are some examples of ways to save at tax time if you are a home owner. Just about everything that you repair or maintain in your home is deductible from replacing a broken window to installing a central heating system. Most people are sure to claim the “big” stuff at tax time but tend to forget about the minor items. You might be surprised how much you spend in small repairs around your home in the course of a year and it can add up to substantial tax deductions so be sure to save ALL of your receipts. If not, you are simply throwing your hard earned money away. Homeowners know all too well about property taxes and interest on your mortgage and even if your home is paid for you are still required to pay taxes. The form 1098 that you receive from your lender every year is as good as gold when it comes to saving money on your taxes and so is your annual tax property statement. Don’t forget that these are deductible from next year’s taxes so use them wisely and save big! If you have a home office than you can claim it on your taxes. The deductions can include an estimated portion of the heating, cooling and electric costs as well but I’m not talking about a desk in the corner of the living room! If you have an actual home office than you are entitled to this deduction as long as it is legitimate. Real estate agents know this one quite well! Keeping good records of all your expenditures at home is a great idea and will be a big help at tax time but you must keep all of your receipts. Most of us never have the “pleasure” of being audited but if you are one of the lucky ones than receipts will quickly become your best friend. Sounds like another “no brainer” right? I know someone that was audited and he didn’t have receipts for all of the deductions that he claimed on his taxes and guess what? The IRS was going to disallow every deduction that he didn’t have a receipt for and he had to go through considerable inconvenience to get new receipts from the different places he had dealt with in the previous year. In the end he was able to get some of the receipts but not all of them and he did not get every deduction that he was entitled to. This could have been avoided quite easily. Of course there is a lot more to taxes than I can talk about here but at least consider this as a friendly reminder that home ownership is a great way to invest in your future and to save money at tax time. It’s one of the best reasons to buy a home and if you don’t take full advantage of the investment side of your home you are just throwing money away. Now is the time to start saving those receipts!.